The Lake District contains some of the most beautiful scenery in England. It has hundreds of fells which create a vast terrain of rugged mountains. 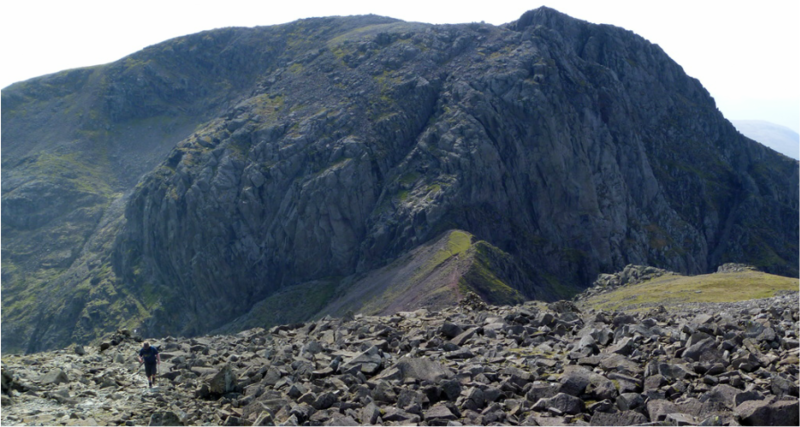 There are 4 fells which exceed the 3000ft contour. These can be combined and ascended during a long weekend, meaning you have then climbed the 4 highest peaks in England, quite an achievement. The English Lakes offer some of the finest mountain scenery in the UK and this is a near perfect way to enjoy and get to know them. Our aim is to complete this challenge over the course of 2 days. The Lake District has a wealth of good quality accommodation to suit all budgets, check our website for some around the south lakes. Transport during the trip can be provided by Mountain Journeys (for small groups up to 4). We can also provide transfers to and from local rail / bus stations. A decent level of fitness is needed for this trip. Each day will feel relatively long, with 8 hours or more of mountain walking. You need to feel comfortable walking with a small day- sack for extended periods and during adverse weather conditions. We strongly advise you to complete some training walks before you arrive. Time invested in training will undoubtedly add to the enjoyment of your trip. Weather: The weather in the mountains of the British Isles can be unpredictable. If we’re lucky it will be beautiful! However, it's best plan for wind & rain just in case.